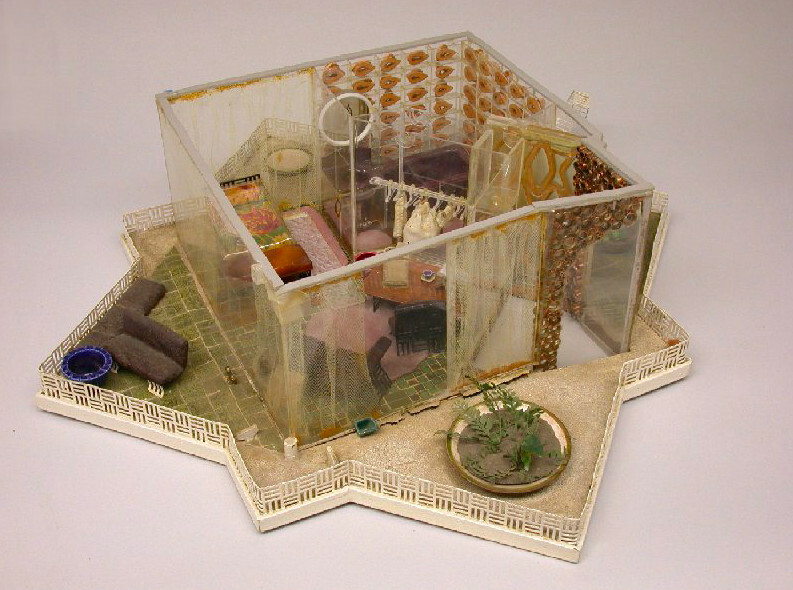 elves would come in while you sleep to do the dusting and washing up? invented the world's only self-cleaning house, seen in the photo above. 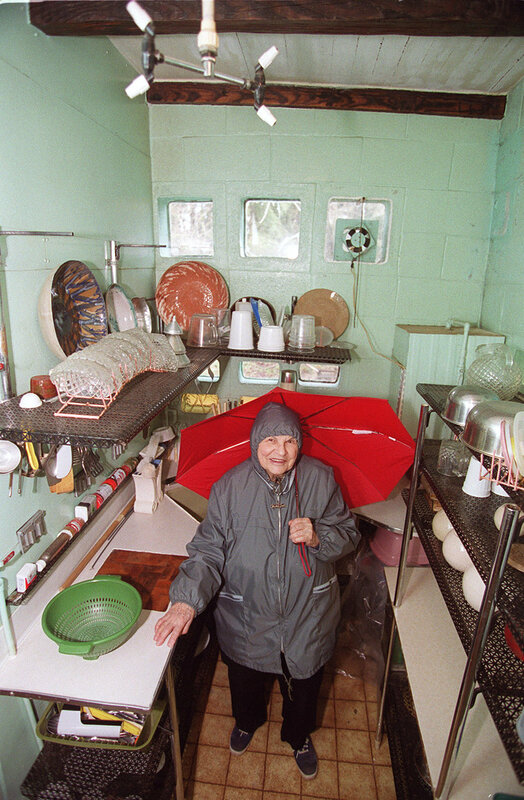 Gabe lived near Portland, OR and died recently at the age of 101, having remained a wildly creative, cantankerous and eminently quotable woman to the very end. 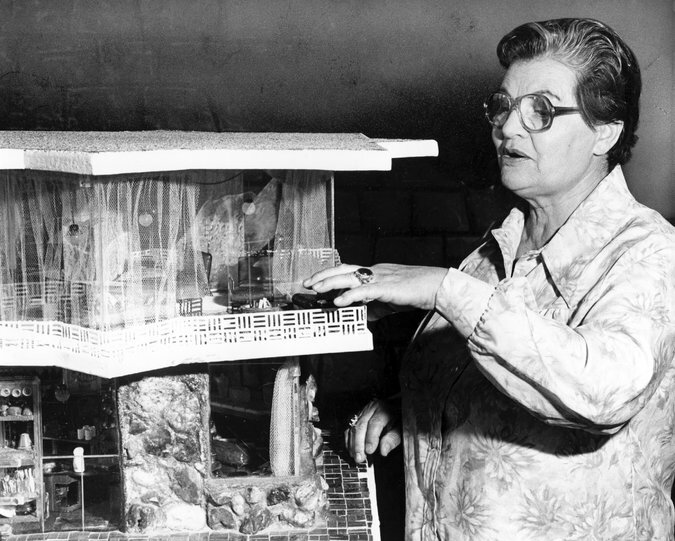 Mrs. Gabe shows off a model of her self-cleaning house, 1979.
she was an accomplished sculptor, ceramist, and jeweler. as "equal parts quixotic dreamer and accomplished visionary." 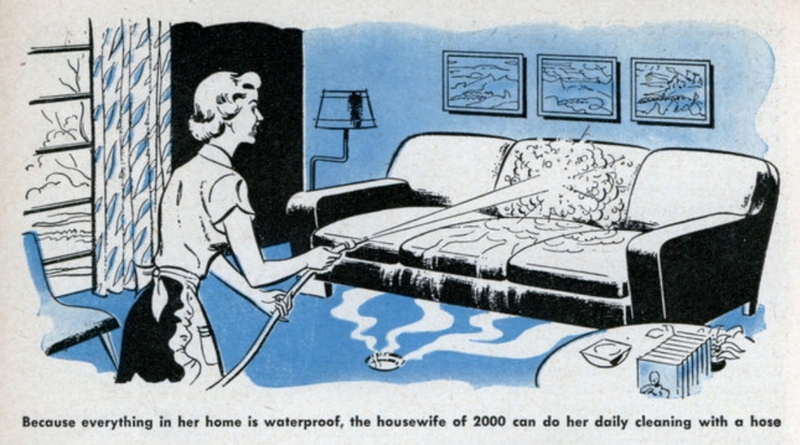 to a slightly sloping floor and easily wash away. A fireplace that hosed its own ashes down a pipe and into the garden. 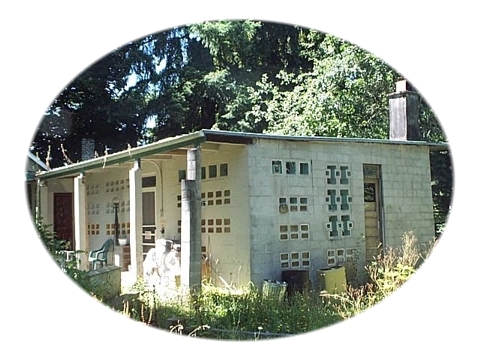 Her property was sold some years ago, though the house still stands. of hers commented to the NY Times. by the Hagley Museum in Delaware. Photo courtesy of Hagley Museum. the backyard,”), Gabe was despondent. She "asked God to give me a big job"
to take her mind off her troubles. "He gave me a lollapalooza."